Rotorua is one of the most visited places in New Zealand, so Transport in Rotorua is an important part of its infrastructure. It's easy to get to, from all areas of the country and its compact size makes it even easier to get around. Rotorua Transport (public) is limited to a bus service, and taxis. It's very easy to just walk everywhere, but if you want to go to some further afield attractions, like the Agrodome or Te Puia, the bus will take you there. 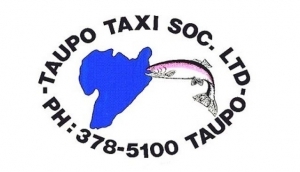 The Airport is located east of the CBD, on the main SH-30, and it's easy enough to get into town, via taxi or shuttle bus. Car hire is easy to do, from the airport or in town, and your hotel or motel will often have good deals and discounts if booking your vehicle at the same time as your accommodation. On the whole, most things in Rotorua are walkable, especially around the southern end of the lake, around Tutanekai Street and the north end of Fenton Street.